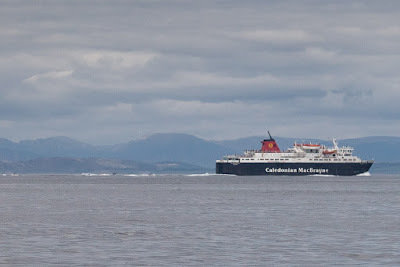 The sails had driven us so quickly that we very nearly made the earlier ferry back to Ardrossan. The ferry attracted our attention because (unusually) it gave several blasts on its horn. It was being trailed by a noisy tribe of jet skis riding its wake. Every so often one of the bolder ones would skillfully cut across the ferry's bow, under the admiring gazes of the many passengers crowding the rail. The captain would then let off a blast. 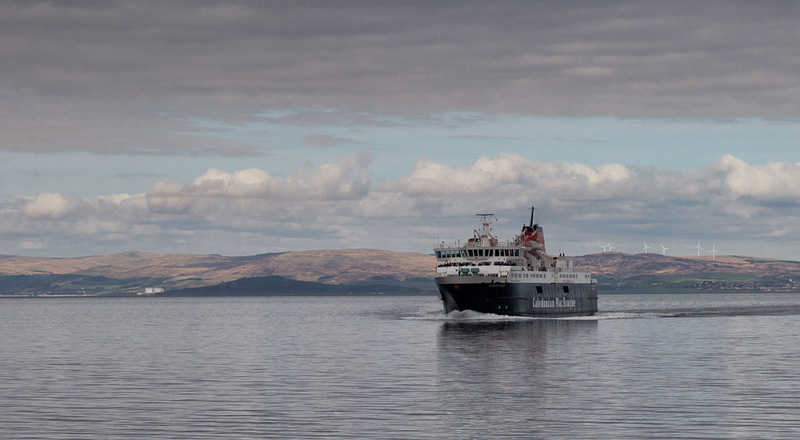 By following the ferry, the jet skis manage to cross to Arran then return to Ayrshire from whence they came. It's quite an effective navigational strategy. 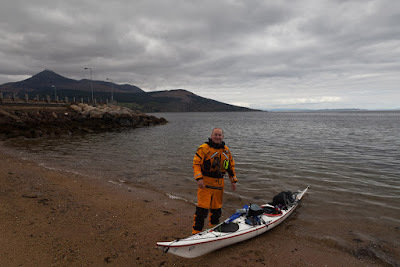 It wasn't long until we were back on the little beach beside the ferry terminal at Brodick. 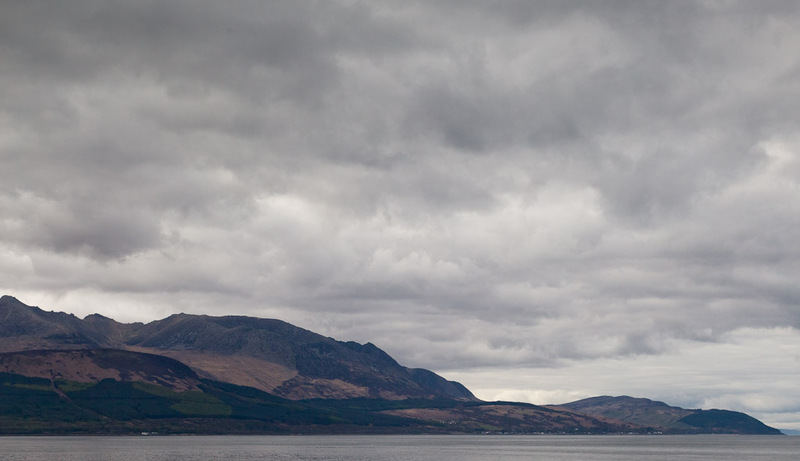 ...north to the mountains above the villages of Corrie and Sannox. 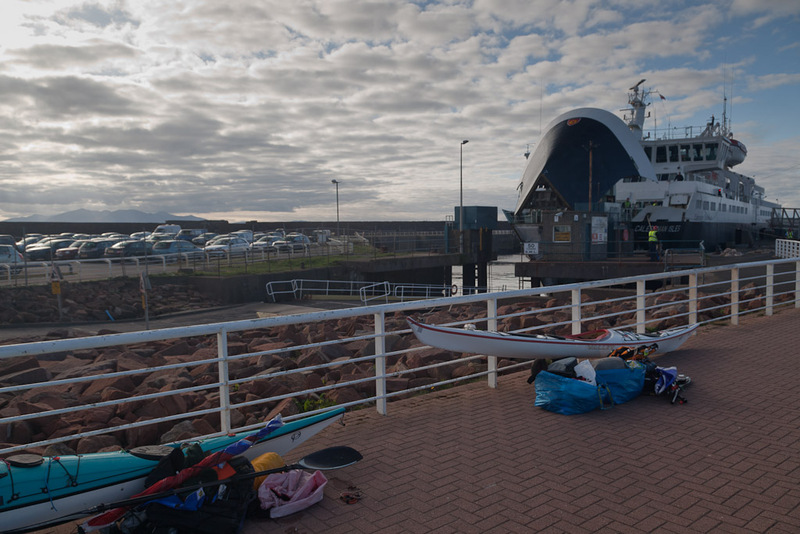 Soon we were back in Ardrossan and we waited with the cyclists to disembark behind the cars. 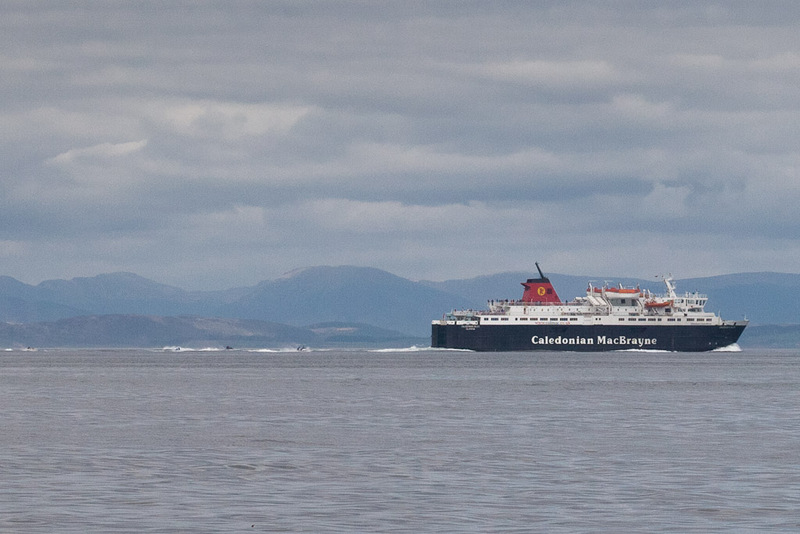 There is no charge to take a kayak onto a Calmac ferry but I strongly suggest you invest in a trolley. 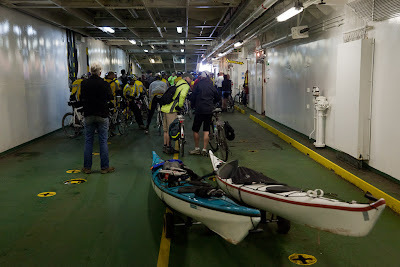 The ferries operate on a very fast turn round and you will not be popular if you hold up loading as you attempt to carry several kayaks the length of the car deck, the link span and the approach road! 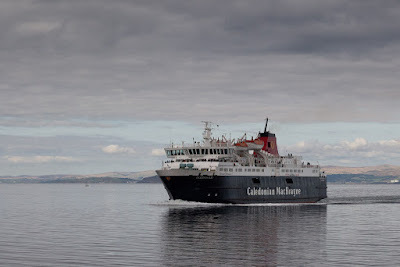 By the time we had unloaded the contents of our hatches into our trusty Ikea bags, a full load of cars (including the extra mezzanine deck) had loaded and MV Caledonian Isles was on her way to Arran again. Once the traffic had cleared we walked through to the car park and paid £6 for having left the cars for three nights in a secure car park with a 24 hour attendant, quite a bargain! 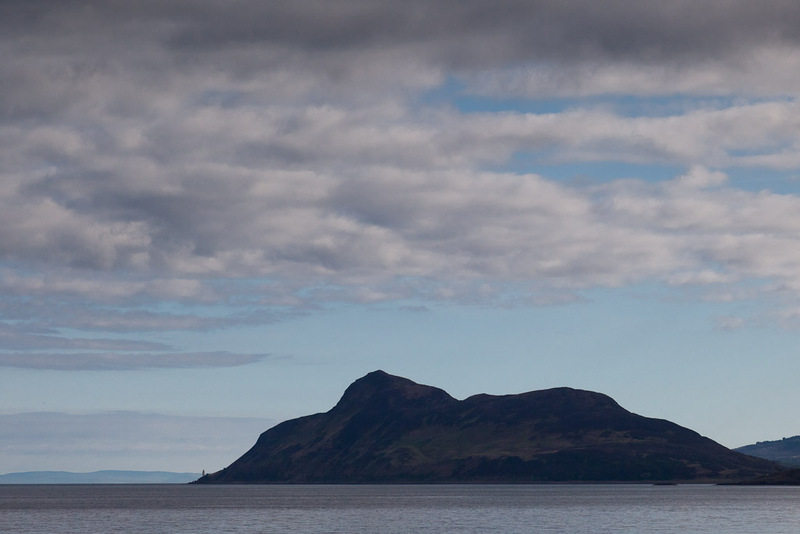 Our trip round Arran was over. David and I reflected on how lucky we had been to share such a mellow trip amidst such fantastic scenery.